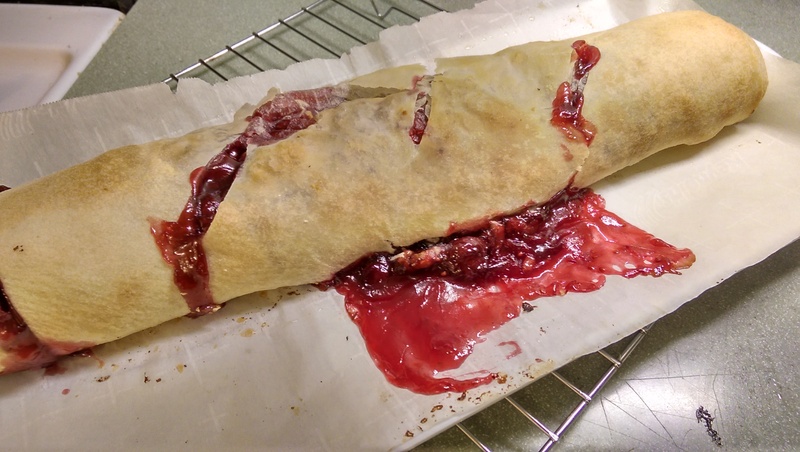 Kirschstrudel, Round 2: in the bag! 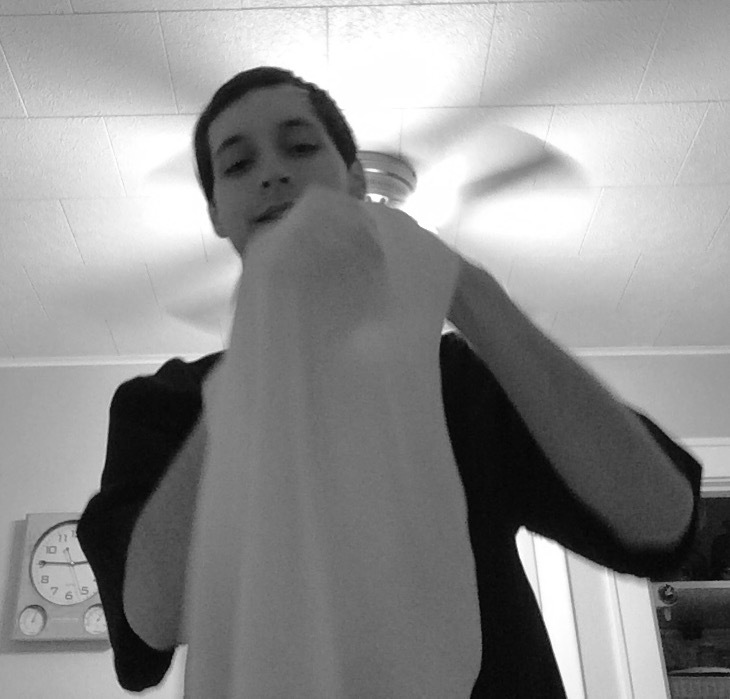 The 1$ Pastry/ flour sack towel investment: a godsend. Rolling Viennese pastry is now a synch! Efforts to mitigate bursting by slicing the top failed. Round 3, expect larger slit(s) in the central region. Ensuring the pre-bake butter wash reaches the underside may provide additional insurance by fortifying the dough the a micro-shell of fatty bonds. Minced carrot, celery, & horseradish plus a dollop of creamy curry dip occupied the leftover dough, baking alongside the cherry strudel. Made for a savory breakfast paired with sunny egg & English muffin cooked in the remaining butter melted butter. A little Earl Grey brought everything full circle.